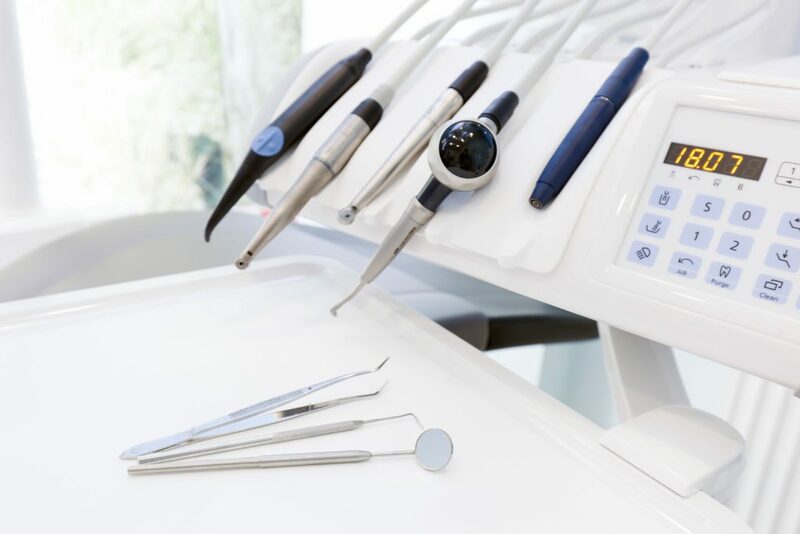 A visit to the dentist can sometimes seem like a trip to a trade fair where you’re surrounded by strange tools and equipment that are unfamiliar and slightly intimidating. Add to this sensation that you’re aware that these items are almost certainly going to be used on you during your stay and the situation can become quite intimidating indeed. To help take some of the mystery, and anxiety, out of your dental visit we’ve provided this handy guide to help you understand what this equipment is and how it can be used to help give you your best smile. What Tools Are There In The Dentist’s Office? Your dentist uses a dizzying array of implements to help their patients achieve optimal dental health, and we couldn’t possibly go into them all here. However, we can cover a few of the more interesting devices that make your dental visit effective at improving your oral health. Intraoral Camera – It’s not exactly easy to get a good view of the inside of your mouth using their eyes alone, so your dentist has devices to help them like the Intraoral Camera. Using this device your dentist can see inside your mouth by use of an adjustable camera that sends its image to an HD television, letting you both get a good look. DIAGNOdent – Sometimes cavities can be hard to spot, and that’s where the DIAGNOdent comes in. These devices use lasers to find spots in your mouth where decay is setting in before its easily spotted, letting your dentist stop it in its tracks. Isolite – If there’s anything that a dental patient hears more than “Brush and Floss Regularly” it’s got to be “Please open your mouth wider.” This litany is repeated several times during any dental visit unless the Isolite is being used. A combination light source and brace, this device holds your mouth open and illuminates the inside to make your dentists job easier. Scaler – We’re all familiar with the admonition “Don’t use metal devices in your mouth.” Yet when the dentist begins working to remove stubborn tartar, this little metal tool is his solution. If you’ve ever felt your dentist scraping around inside of your mouth with a short metal instrument, it’s probably the scaler. Elevator – If you’ve ever had a tooth removed it’s likely that an elevator was involved. This device is used to help get in under the tooth and break it free from the base before forceps are brought in to finish the extraction. Think of it as a tiny little crowbar. During your next dental appointment be sure to ask the staff about the equipment that you see. They’re often more than happy to explain what they all are and how they help ensure you have excellent dental health. If you need to make a dental appointment with a new dentist pick up the phone and contact Dr. David Pendleton at the Rockdale Smile Center located in Rockdale, TX. Next Post: What Does Impaction Mean?